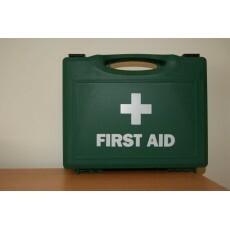 First Aid Kit (Irish hsa recommended) provides first aid treatment for minor injuries and cuts. Ideal for use on the farm or off site work. 5 Eye Wash Pods 20ml.